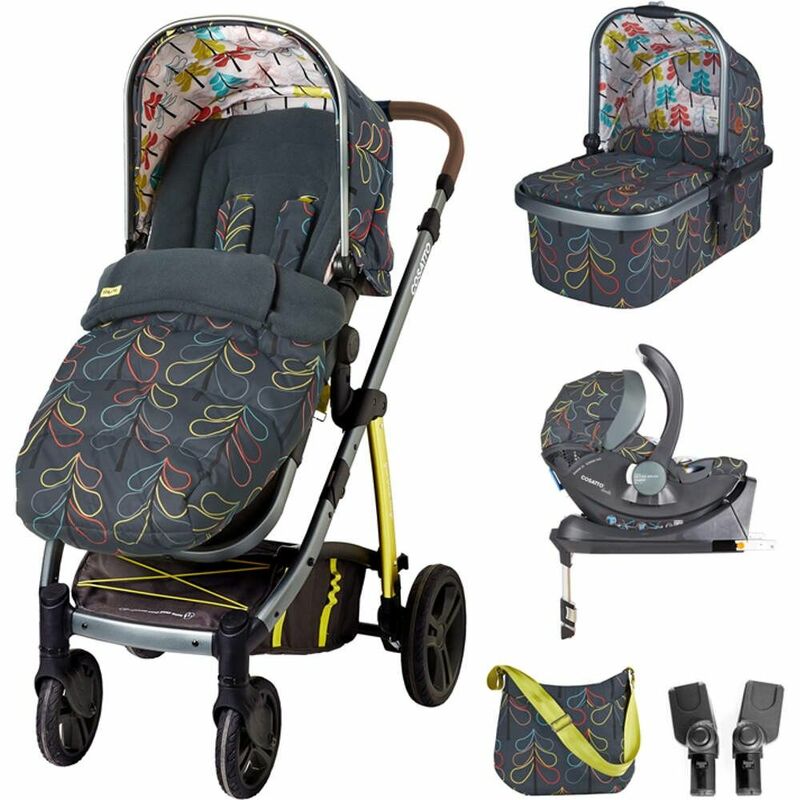 This 9 piece Wow ISOFIX travel system & accessories bundle is the complete package. It comes with all Wow’s usual kit plus footmuff, changing bag, baby car seat, adaptors & ISOFIX base. 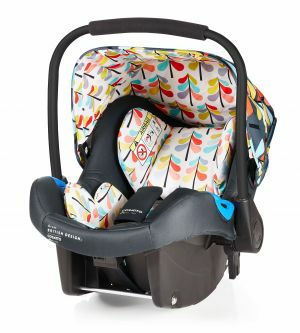 Move the car seat from Wow’s frame into your car quickly & easily without waking baby. The base connects to the ISOFIX points in your car and the car seat fits into place with a reassuring click – so you can relax knowing it’s fitted correctly every time. 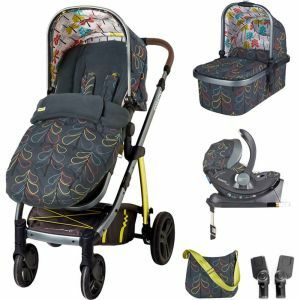 Suitable from birth this eye-catching Cosatto pushchair will turn heads. The from-birth carrycot (Suitable for occasional overnight sleeping) gives them a cosy and warm place to nap while you run errands. From 6 months your precious little one can take a seat in the wide and comfy seat unit offering parent facing or world facing options. No need to wake baby when you arrive at your destination, simply click the car seat on the chassis. Isofix compatible it ensures a safer and more stable installation. It is also much quicker and simply clicks on to the base. 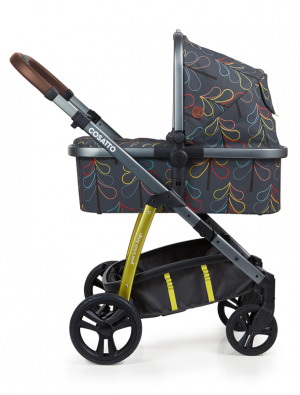 All-round suspension and puncture proof tyres bring manoeuvrability and bump free rides for your precious little one. Compact fold for easy storage it is designed to fit in the smallest of cars. Keep your little one warm and cosy with the pushchair footmuff, quilted to keep them cosy and with a kangaroo pouch for little hands. The reversible liner makes it ideal for both summer and winter months and incase of any spillages the footmuff is machine washable. The stylish bag can hold all essentials you may need for a trip out. With on-the-go solutions from bottle insulator to the padded wipe clean changing mat plus handy key holder and zip compartment. The Cosatto Wow Whole 9 Yards Accessories & Port ISOFIX Bundle is suitable from birth.